When you are a child, everything from cars, planes and bridges fascinates us.You imagine the different places these things can take you, the adventures they can lead you to. I, amongst everyone else has that same dream but the child in me is still fascinated about bridges. The bigger the better, the more intricate and interesting the design the better. It may simply be the architectural curiosity in my mind. The subject of the day is Waterloo Bridge. It crosses the River Thames between Blackfriars and Hungerford Bridge. Named after the victory of the Battle of Waterloo in 1815. It placement makes it ideal to view the city from it and it is not to be missed especially at sunset. What drew me to this image, simply was the mix of colours just after sunset. 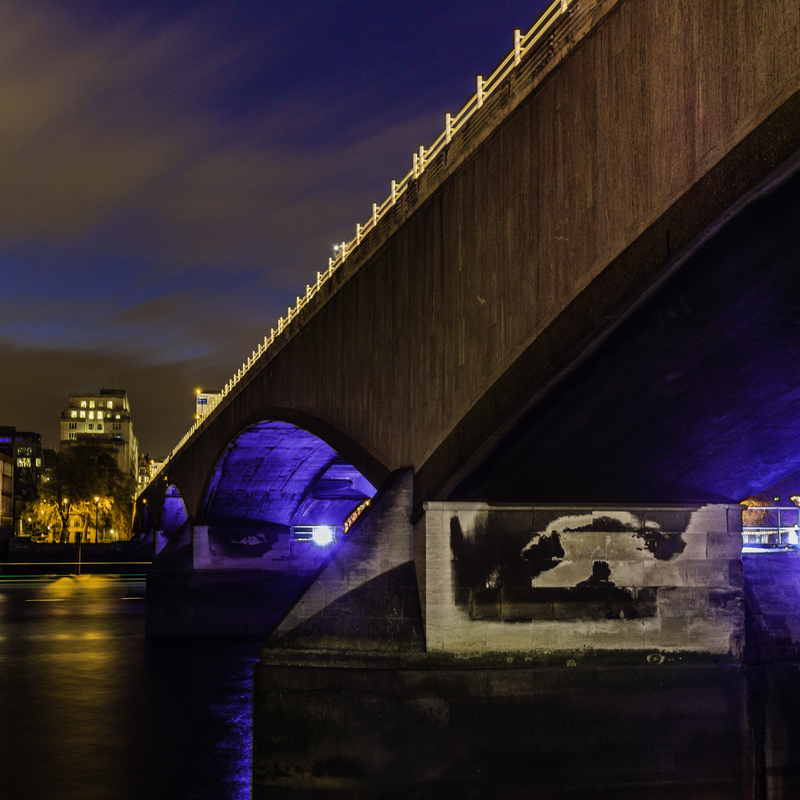 The tungsten lighting mixing the fading blues in the sky and that of the lights perched under the bridge. A definite moment to capture!! A wonderful start to the week everybody!! !